Dr. Joan Labay-Marquez is the Graduate Studies Coordinator for the Dreeben School of Education (DSE) and joined the UIW family in 2014. She supports the Dean, Director of Graduate Studies, students, faculty and staff of DSE and the doctoral student association (DSA). 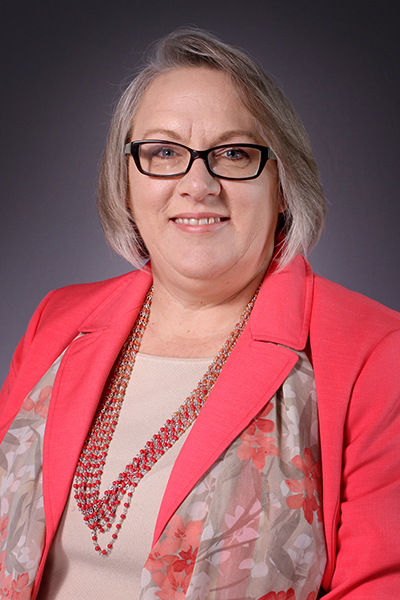 She serves as a liaison for DSE to the ESC Region 20 Cohort of Leadership Associates (CoLA) program and UIW Graduate Admissions Recruiting Events. Prior to UIW, she maintained a general law practice and taught K-6 for Boerne ISD in the gifted and talented program. She graduated from Incarnate Word H.S. and earned her BA and Juris Doctor from St. Mary’s University. She is a member of NASPA and serves on the NASPA Review Board for the NASPA Journal about Women in Higher Education (NJAWHE). She teaches Law in Higher Education and Legal Issues in Student Affairs and is a member of the 2016 NASPA Certificate Program in Student Affairs Law and Policy Cohort. She is married to Felix Marquez, and they are blessed to have four beautiful children that attend St. Anthony Catholic High School and St. Anthony Elementary School and all participating in the UIW Brainpower Connection program. She serves as the Education K-12 STEM Outreach Chair for AIAA (American Institute of Aeronautics and Astronautics) and supports the AIAA Educator Associates for the SWTX Region. She enjoys spending time with her family and doing all things NASA.